Siemens has won the largest order ever awarded for onshore wind turbines, for a massive wind farm build-out in Iowa by Warren Buffet’s MidAmerican Energy. Siemens is supplying 448 wind turbines – a solid 1 gigawatt of capacity – to be installed in five new Iowa wind farms. Each turbine produces 2.3 megawatts of energy. All the components are made at Siemens’ factories in Kansas and Iowa, including hubs and nacelles, electronics and gearboxes. At a cost of about $1 billion, “the deal indicates that turbines are becoming profitable without subsidies,” notes Tom Kiernan, CEO of the American Wind Energy Association. Broadwind Energy is supplying the towers, also produced locally, bringing the total project cost for 5 wind farms to $1.9 billion. It will bring private landowners $3.2 million in revenue, pay $360 million in property taxes over 30 years and stabilize electric rates over the long term, says MidAmerican. Wind is now the least expensive source of power in Iowa. 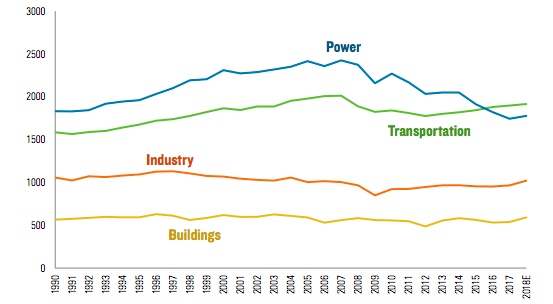 With prices down by 26% since 2009, electricity from wind is within 5.5% of coal, according to Bloomberg. “If Congress were to remove all the subsidies from every energy source, the wind industry can compete on its own,” says Kiernan, referring to the fact that continued fossil fuel subsidies are what’s making the playing field unequal. Power from wind is already cheaper than that from new natural gas plants, says Amy Grace, a wind analyst for Bloomberg New Energy Finance. One of the wind farms is already online and all five will be producing energy by 2015. Its “the largest economic development investment in the history of the state,” says Iowa Governor Terry Branstad. Besides creating hundreds of jobs, more companies will locate in Iowa because of the breadth of clean energy there, using Facebook’s new data center as an example. Iowa currently has 5 GW of wind, generating 25% of the state’s electricity; South Dakota is the only other state where clean energy is that much of the mix. Unfortunately, the wind tax credit, expires again on December 31 because of lack of Congressional action. 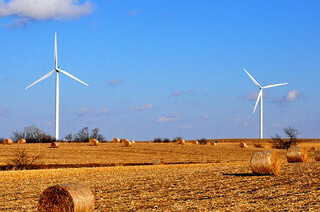 Next Next post: Michigan Conservatives Launch Group to Increase Renewable Energy! Now its a big trend for constructing biggest wind farms, this is all because we are now heading towards all clean and green energy. I recently came across an article featured in an energy site on biggest wind farms in the world.